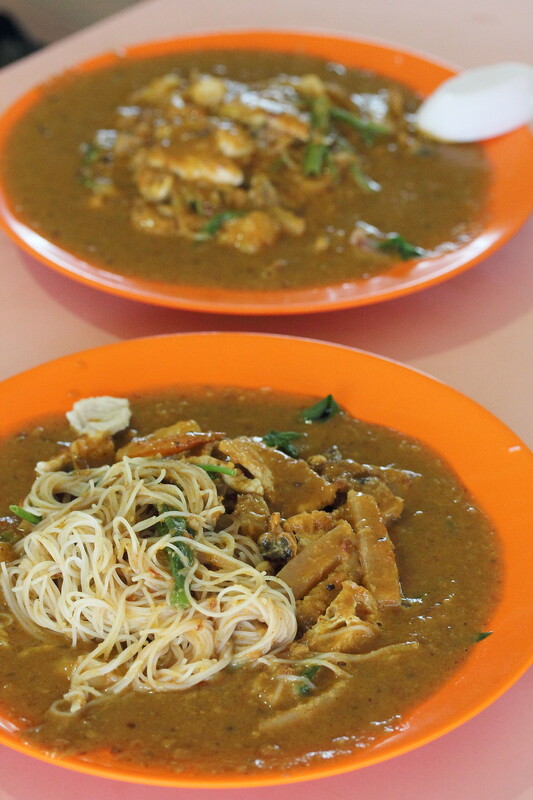 You may wonder why there are very few Satay Bee Hoon stalls around the island. Satay bee hoon may seems like a very easy to make dish. You just need to cook the rice vermicelli, ingredients and pour the satay sauce over it. In actual fact, the making of the satay sauce or peanut gravy is a very labour intensive job. Long hours are needed in the roasting, grinding and cooking of the peanuts to get the soft nutty consistency. 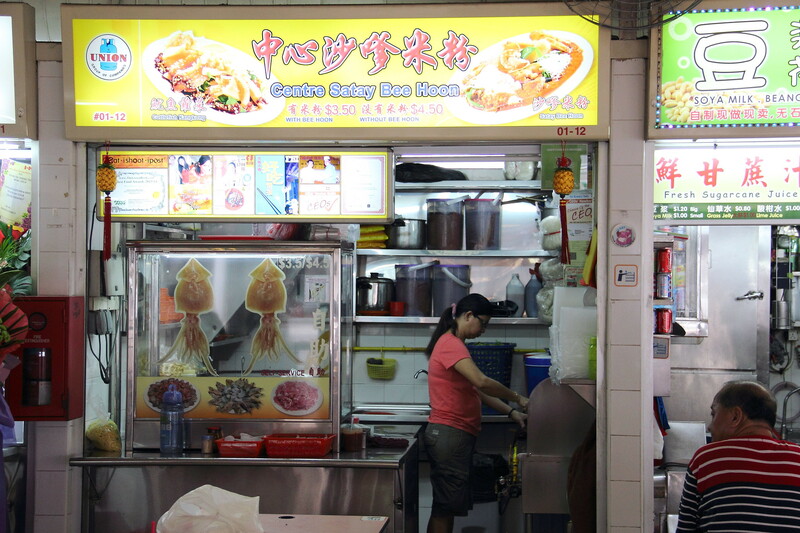 Whenever I have craving for the Satay Bee Hoon ($3.50/$4.50), one of my favourite stalls to go to is Centre Satay Bee Hoon at Ang Mo Kio Ave 6 Food Centre. What I like about their satay bee hoon is the smooth nutty consistency of the satay sauce. 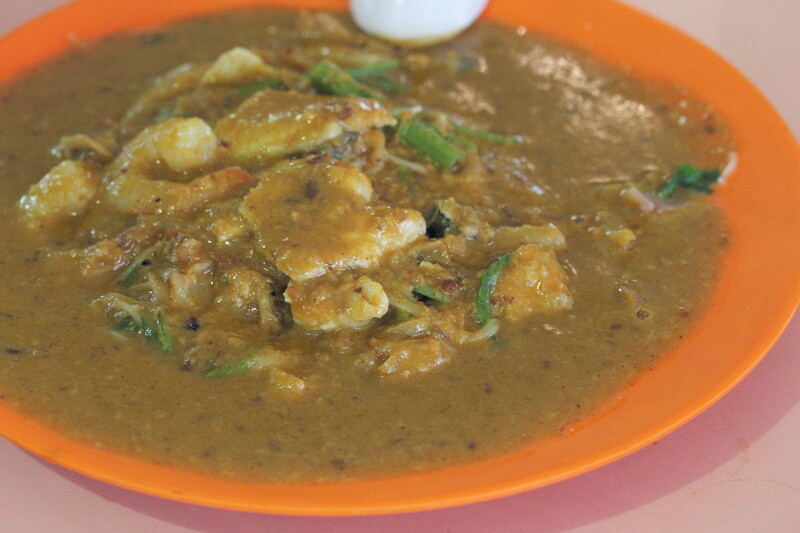 I have come across stalls that sold me very coarse peanut gravy which felt like the stall took the sauce from the satay stall and pour it on my plate. 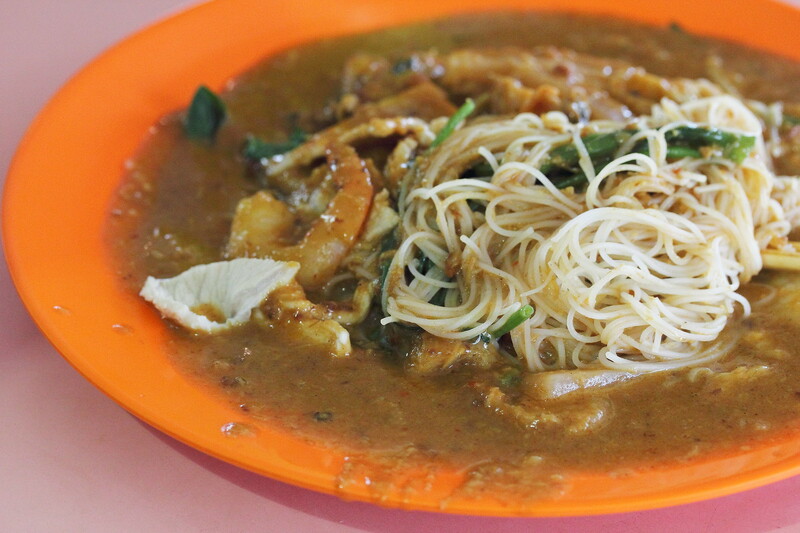 In the plate of satay bee hoon at Centre Satay Bee Hoon, you can find many ingredients such as prawn, cuttlefish, pork slices, cockles, kang kong and the supporting actor the rice vermicelli. The soft rice vermicelli still retains a bit of bite coating the fragrant satay sauce in each mouthful. Centre Satay Bee Hoon will be taking part in this Ultimate Hawker Fest 2014 and they will be introducing some ultimate ingredients for the event. Centre Satay Bee Hoon will up their game for the charity event by doing their Ultimate Seafood Bee Hoon with Tiger Prawn, Cuttle Fish, Mussels and even shabu shabu Pork Belly. The Ultimate Hawker Fest 2014 at Suntec Convention and Exhibition Hall 401 & 402 on 22 November 2014, 11am to 5pm is a fund raising event for the beneficiaries under the care of Touch Community Services regardless of race and religions. Coupons is required to purchase the food from the various hawkers and can be purchased at https://www.ultimatehawkerfest.sg/. While the hawkers sacrifice their time and some even a day's income to do a part for the needy and disadvantaged, I hope you can support them and do a part for charity too. See you at the Ultimate Hawker Fest 2014.